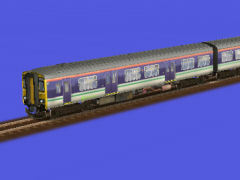 Class 150/2 DMU, in Scotrail livery with Central Logos. This is a requested fictonal livery. Fixed alpha numbers now showing.